Aloha Piscines, authorized installer of Delifol reinforced membranes (150/100 reinforced liner) for more than 5 years. 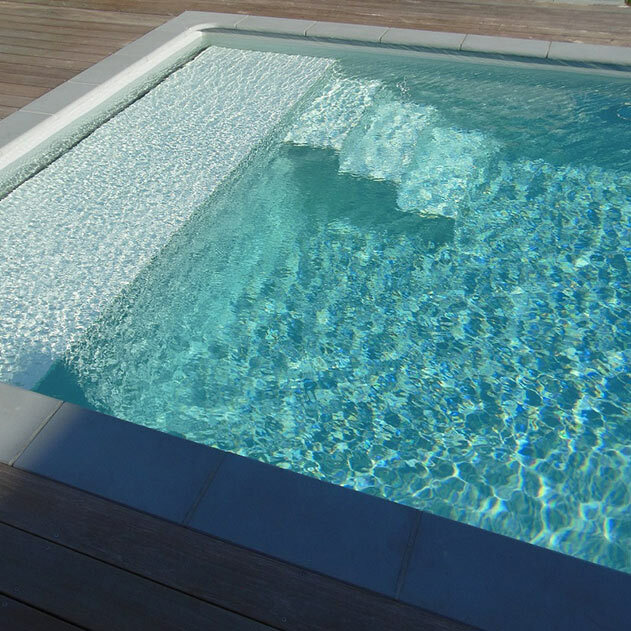 Today the liner or reinforced liner are the most reliable sealing systems on the market because on the one hand, there is a factory-made "pocket" sealed after careful preparation of the ribs and on the other side membrane rolls thermo welded on site and perfectly matching the shape of the pool. Even if these 2 products have different technical characteristics, they have one thing in common: the fact that even if the structure of the basin cracks or undergoes movements, they remain watertight which is not the case on a basin tiling, painting or gel coat type. What is an armed liner ? The reinforced liner also known as reinforced PVC, has a high tensile strength, and a very good dimensional stability. 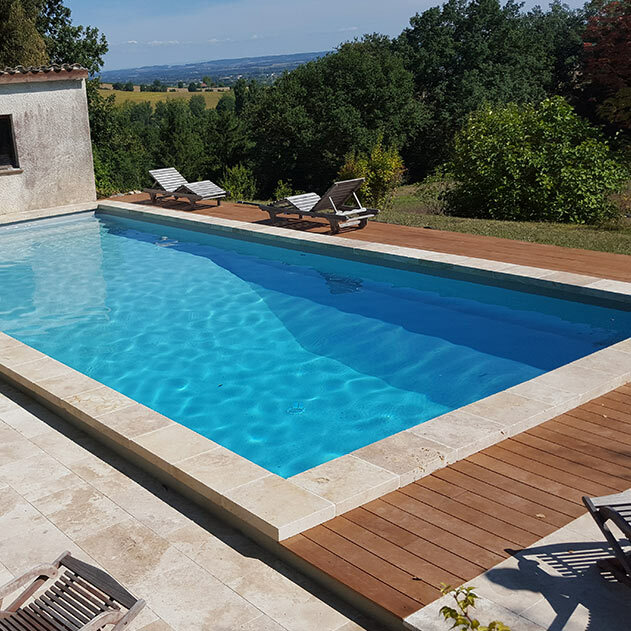 This coating gives you more peace of mind regarding its lifetime but also its level of resistance because it benefits double thickness compared to a standard liner. Discover the Delifol documentation on the armed membranes by clicking on the link below. Contact us for more information !